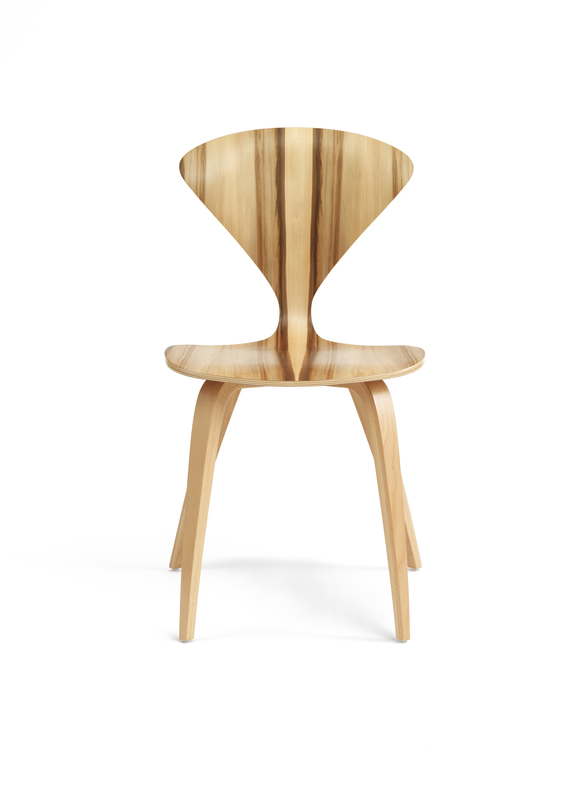 The Cherner chair and armchair are available in a multitude of wood finishes. You can also customize it by adding a fixed seat pad, or seat and back pads, also fixed. 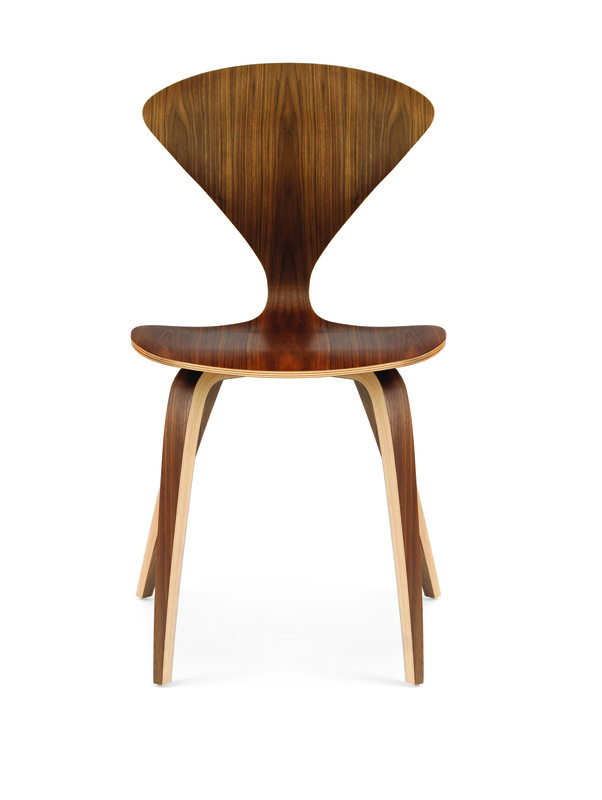 They can be upholstered with Hallingdal fabric from Kvadrat, and Sydney or Sierra leather from Ca-Mo. We have at your disposal free samples of wood, fabric and leathers that we can send you against a deposit to help you in your choice. Sydney is a leather with a natural fabric and an extremely soft grip. 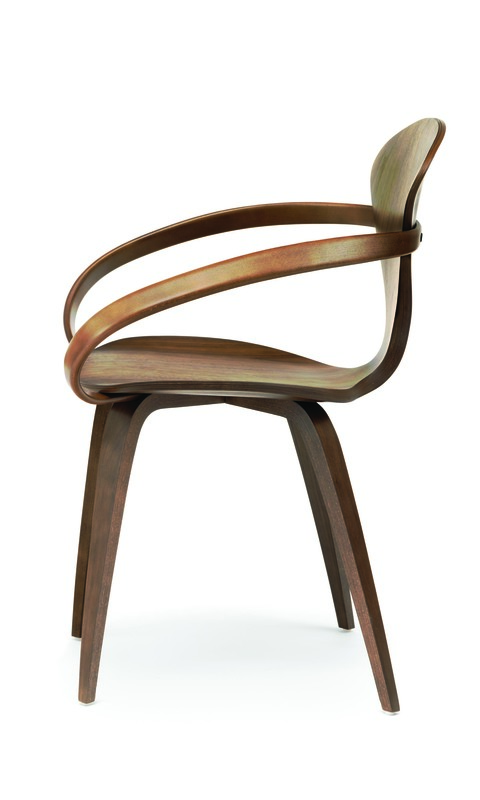 The skin is characterized by its beautiful natural appearance, but at the same time with a strong finish. Chrome tanned and produced without the use of PCP and CFC which are damaging to the environment. All CAMO leather is dyed through. The leather is available in a large and modern range of colours. Chrome tanned and produced without the use of PCP and CFC which are damaging to the environment. 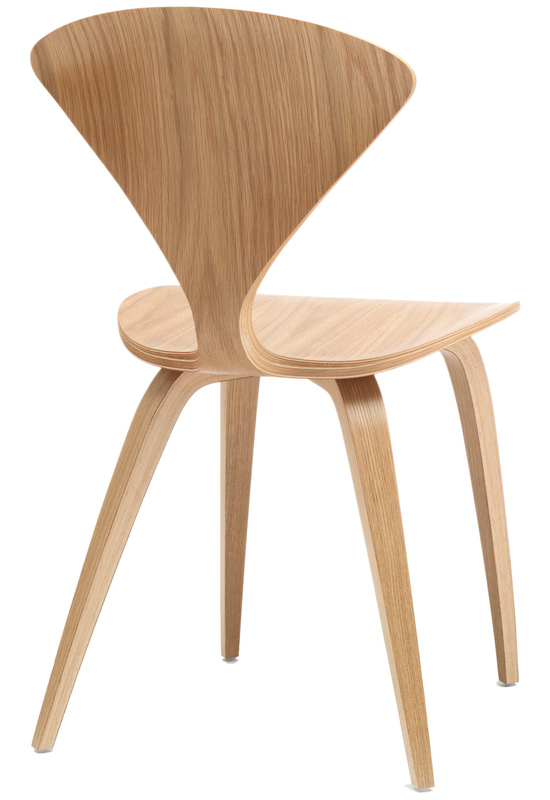 Suitable for the private and the public environment. 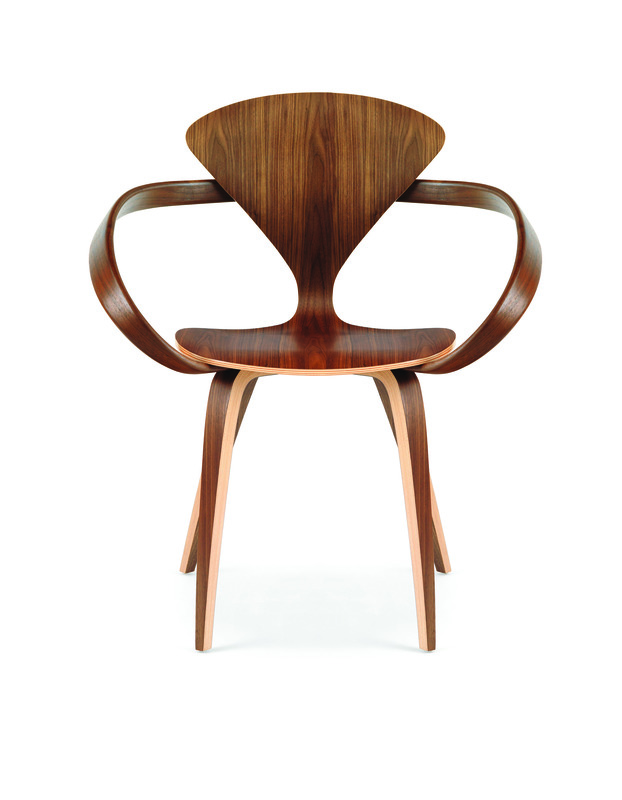 The Cherner Chair and Armchair are the most famous creations of Norman Cherner. 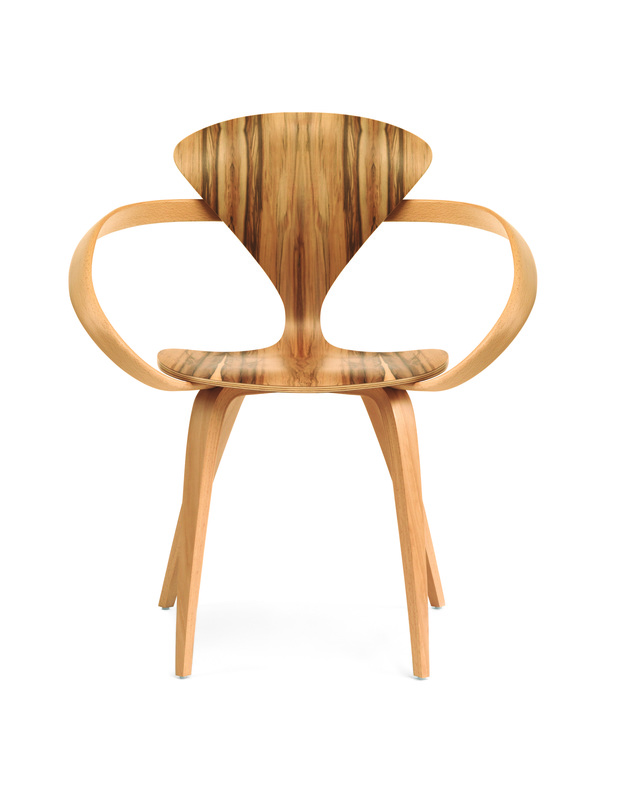 Very confortable and resistant despite his visual lightness, the Cherner Chair and Armchair are available in a multitude of wood finishes that include 2 walnut versions: "natural walnut" and "Classical Walnut". Natural walnut have a clear top coat where the natural variations in the color and the grain of the wood are clearly visible. No stain or color enhancements are used. Classical walnut use aniline dyes and water-based low VOC varnishes, wich produce a finish where the natural grain texture of the wood is clearly visible with uniform color through-out. 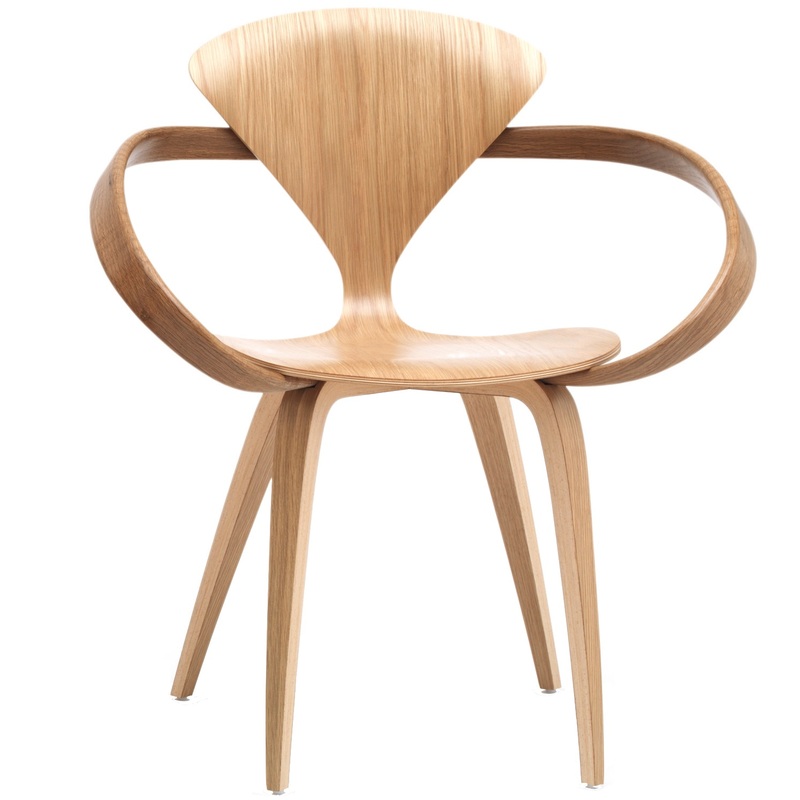 The Cherner chair & armchair are available with a back or/and seat pad.